This was the second time we painted dinosaurs for the Monmouth Museum. 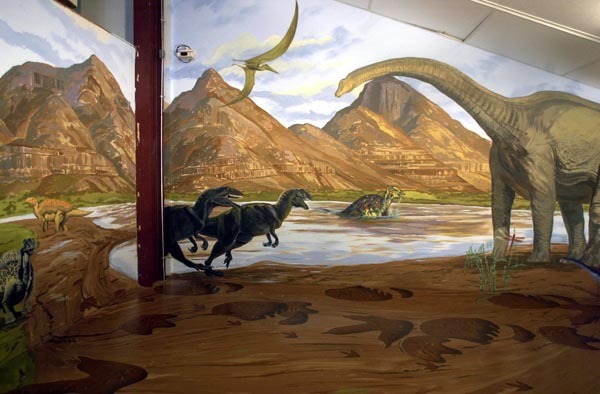 This mural was for the children to compare their foot sizes with those of the dinosaurs that we painted. I talked with the foremost authorities in the world to get the stride and pace correct. To see the rest of the mural click here.